Most people have traditional or classic names which can become common because everyone is bearing the same name as you. If you want to be different and unique, then you have to appreciate been called by a nickname. Nicknames have a personalized touch that makes them preferred. William is one of the classic names of all times. 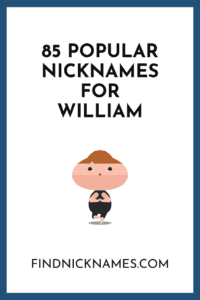 Even the nickname has become very common, as a result, we went to work to bring you nicknames of the name William that you have not heard before. If you intend to name your baby William but want a nickname that will be special, this is the article for you. If you are already a William, it is not too late to get yourself a new nickname, especially if you don’t like the one you are called now. Why Is Bill as a nickname for William? When you hear the name “William,” you think English. You are somehow right; the name actually evolved from the original Old High German name “Wilhelm.” The literal translation of the Wilhelm simply is “Willeo means desire” and “helm means helmet.” Other representations of the Wil is “determination” and “will” while “helm” has been implied to mean protection. William, the Conqueror, was the first Norman descendant to become king of England. This royal made the name fully established in the English soil. Since then the name has spread like wildfire and is one of the most popular English names of all times. The Irish and Americans also adopted the name, and it has since become a favorite all across the world. William is a classic name that has been borne by a significant number of royals in different parts of history and the world. From Britain, Germany, Sicily, France, Dutch, and even Cameroon have all had Kings, Princes, and Nobles who have been called William. In the present century, there are role models in entertainment, sports and the very distinguished Duke of Cambridge, Prince William. Now enough of history, let’s get into the nicknames that have been derived from the unique name “William.” It will interest you to note that the right pronunciation for “William” is WIL-yəm. Do you need more convincing about the greatness of the name “William”? 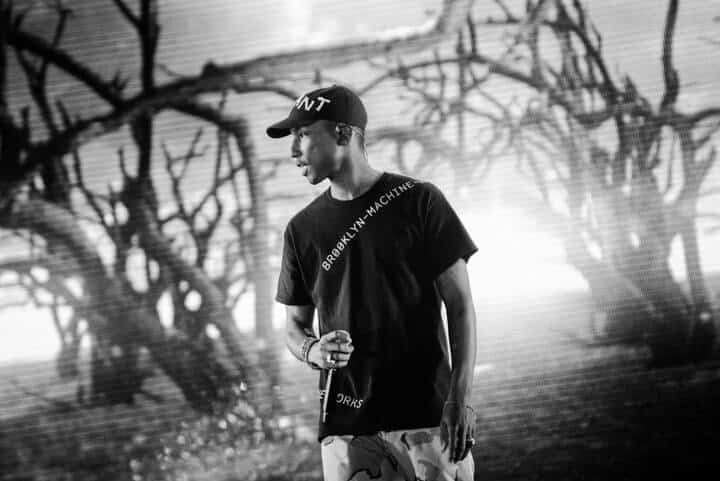 If you do, below are a list of famous Williams’ you may know, heard of or never heard of. Some of them had nicknames like the ones listed below. William Jefferson Clinton – Known as Bill Clinton, the 42nd President of United States of America (1993-2001). William Joseph Baldwin – Actor, producer, and writer. Brother of Alec, Stephen and Daniel Baldwin. His movies include Flatliners, Silver, Fair Game, Forgetting Sarah Marshall and Parenthood. William Ray Cyrus – Billy Ray Cyrus, Singer, songwriter, and actor. Miley Cyrus dad. William Franklin – Billy Graham, Christian evangelist and spiritual adviser to many American Presidents. William James Adams, Jr – Professionally known as will.i.am. Founding and lead member of the The Black Eyed Peas. It is amazing how the name William has stayed popular through ages and even in modern times. In the year 2016, William ranked number 3 in New Zealand and number 11 in both Wales and England. 2017, this evergreen name ranked number 2 in Australia and number 1 in Sweden. Why not join the trend! Guiguille – In France, this is the common version of William. Will – As classic as you can get. Nicknames are more memorable when they generate laughter, mirth, and humor in both the bearer and hearer. Here are some funny William nicknames that will have you giggling and smiling. Memo – South Americans including Mexico, El Salvador, and Costa Rica are known to use this nickname. Wil Yam – Sounds as if a toddler is trying out the name for the first time. Wilmo – Mimicking the cartoon character “Elmo” in Sesame Street. If you have a daughter and you were hoping to name your child William. Or, you want to continue the family tradition of naming a child William, but you got a girl. Don’t worry we got you covered. Below are female versions of your favorite name, and your girl will be proud to be called any. Willow – Will Smith, the famous actor, named his daughter “Willow.” A cute version of his first name. An understanding of the different variants or alternative to the name William is necessary. This may be your preferred nickname of choice for your own William. The spelling difference or the origins of the name are an added attraction. There are many other interpretation and variations, but here are the few we know will intrigue you. So, get creative and form yours in a way that suits you or the William you want to give a pet name. Also, do not hesitate to share any good William nicknames that you might have come across in the past.